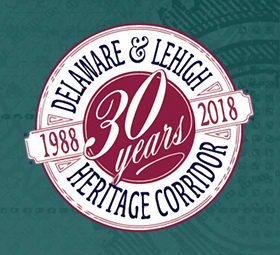 Chris Kocher, President of Wildlands Conservancy, and Elissa Garofalo, Executive Director of the Delaware & Lehigh National Heritage Corridor, celebrated the launch of THE LINK last November. 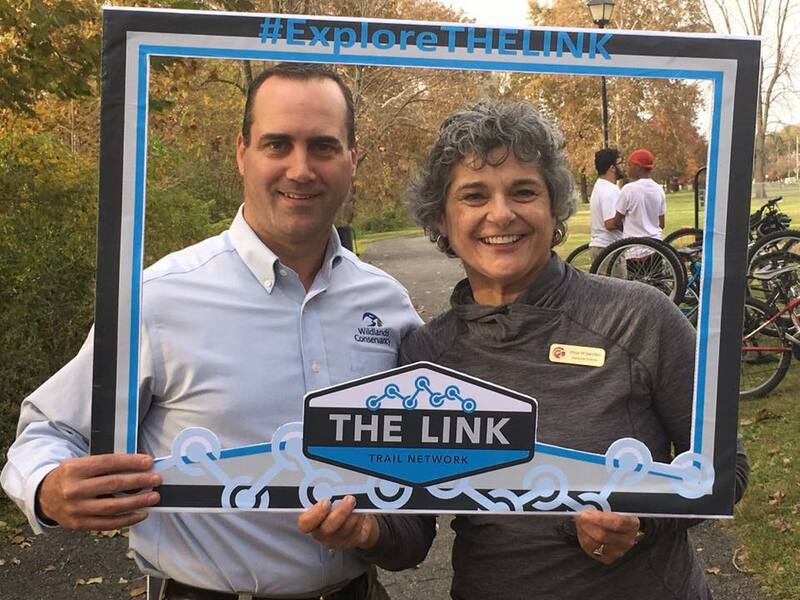 Maybe you attended, heard from a friend, or saw media coverage about launch of THE LINK Trail Network in November 2018. 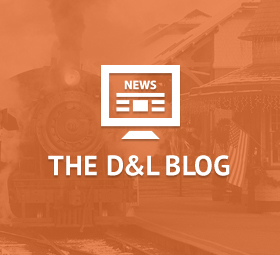 During 2017 and 2018, D&L worked with a group of regional partners and Klunk & Millan, a local advertising agency, to create a brand and accompanying marketing strategy for THE LINK. The Lehigh Valley is building a good reputation for the variety of outdoor recreation options: trails, rivers, parks, and forests. Each year additional trail miles are developed and more connections made; THE LINK brings all of the trails together! 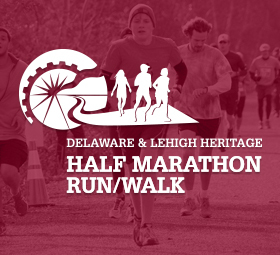 Each individual trail maintains its own name and character and THE LINK is the interconnected network of all these trails providing residents and visitors the opportunity for year-round outdoor recreation, active transportation, and healthy living. THE LINK is a connection to nature ideal for all ages, all backgrounds, and all fitness levels. 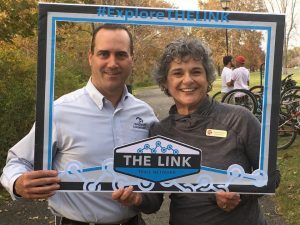 THE LINK stimulates the local economy by connecting trails to businesses, providing jobs, increasing property values along trails, and attracting new employers and job-seekers. THE LINK provides non-motorized travel alternatives to get to work, school, shopping, and recreation – all while increasing exercise and time in nature. 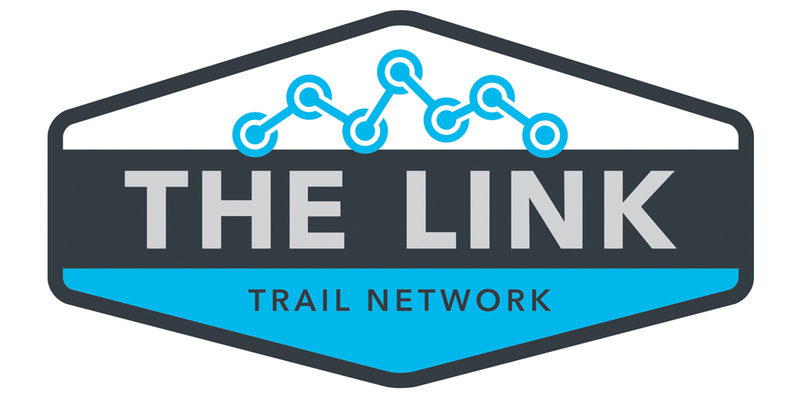 We hope you’ll join D&L and our partners to use THE LINK Trail Network, tell others about THE LINK, celebrate new trail connections, and support THE LINK Coalition as we grow the network. 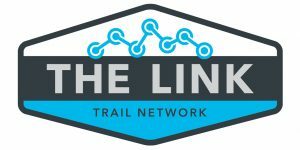 For more information, follow The Link Trails on Facebook and visit www.thelinktrails.com, and watch for future additions of trip itineraries, trail details, and news updates as we develop the landing page into a full website this year. THE LINK is supported by a growing coalition of regional partners committed to providing our area with a valuable resource we can all take advantage of.